📍 Ubud, 1st of September 2018. 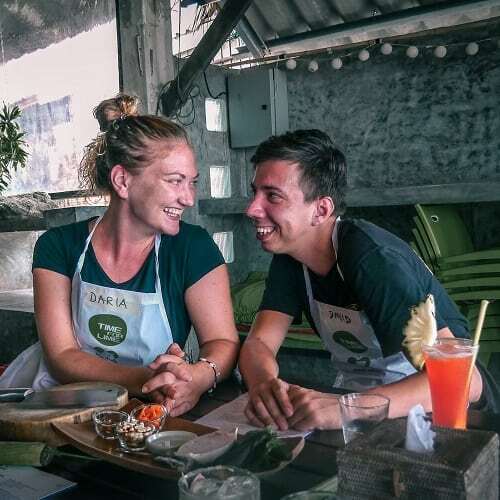 Bali is definitely so much more than beach, sun, parties. 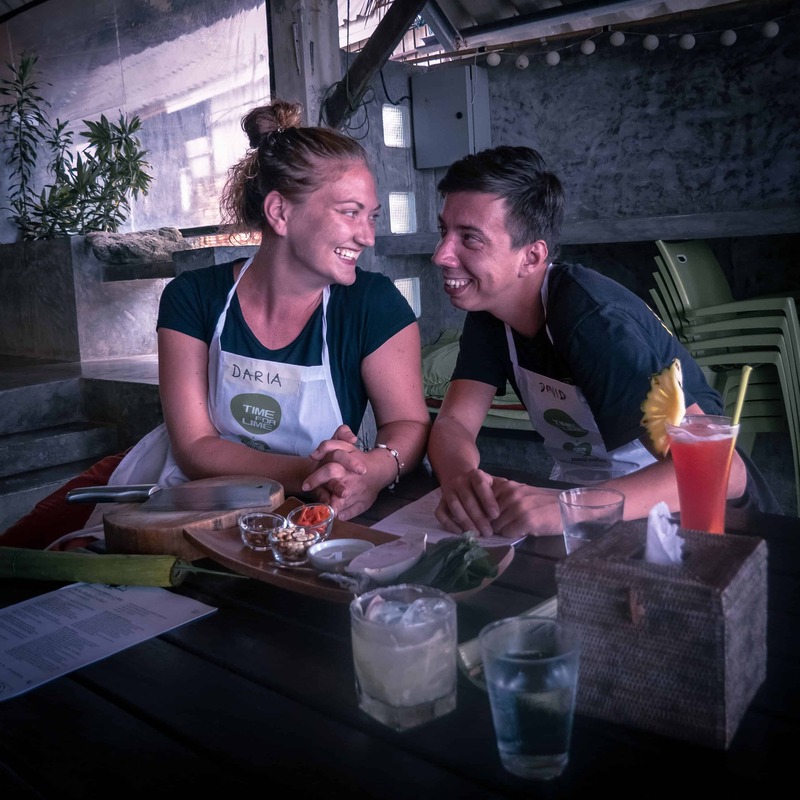 This is especially the case when you move away from the coast and stay in Ubud - a city we fell in love with. There are many interesting, fun and insta-famous things to do in the city. 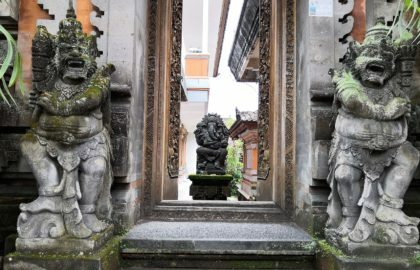 One of our personal highlights, however, was the unique architecture of Balinese temples. Hinduism is tightly integrated into the Balinese every day life. There are shrines in (almost) every house in Bali, where the locals are putting flower donations every day. It is a very beautiful tradition. You will also see these flower baskets on the roads, so watch your step! We visited a lot of smaller temples we passed by on our Bali discovery trips by foot or on a scooter. The scooter was the quickest, most flexible and cheapest option (versus taxis and tour busses). This mobile freedom also permitted us to avoid crowds arriving on organized tour busses, as we simply continued driving if we saw too many visitors arriving at once. You should really take your time to just drive around and explore the less visited temples. Here below, however, is a review of our experience with the three most popular ones we’ve been to. Expecting to see the elephants? Pura Gunung Kawi - our winner! Despite what the name would suggest, there are no elephants to be found (boo) in Goa Gajah. There are various interesting theories with regards to the origin of the name (read more here), however neither of them conclusive. A rich forest embraces the temple creating a gorgeous setting and a pleasant shade as you walk down the stairs to the shrines. Balinese really know where and how to build temples! As we were approaching the end of our visit, we accidently took the wrong path and ended up exiting the temple in the neighbouring village. An older lady carrying something looking rather heavy on her head saw us coming out of almost a bush. In bewildermentm she asked what we were doing there. To our genuine “we got lost” she replied with a smile and wished us a good day. Was she a local guard? 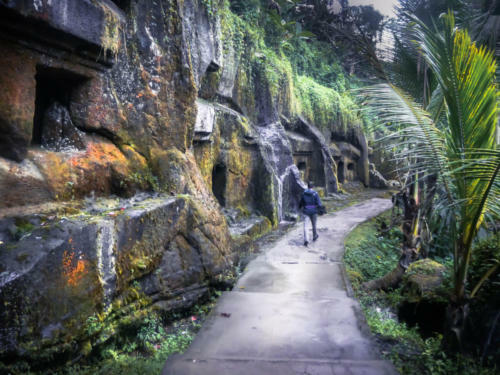 Probably, this secret passage is for the locals to access the temple and bypass the official tourist-oriented entrance. Would not suggest anybody using it to avoid paying the entrance fee - it is really not expensive and (hopefully) goes towards the maintenance of the temple. Luckily for us, we visited this temple by foot and didn’t need to wear a sarong, so we didn’t have to return to where we had started. 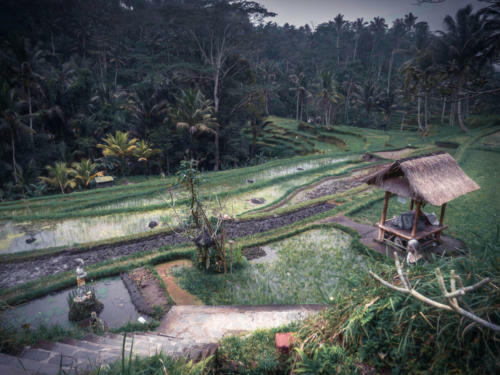 We slowly continued our walk back to Ubud from the village. This temple is by far our favourite! 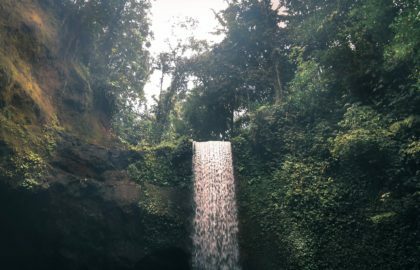 Here below are the main three reasons we hopelessly fell in love with Pura Gunung Kawi. 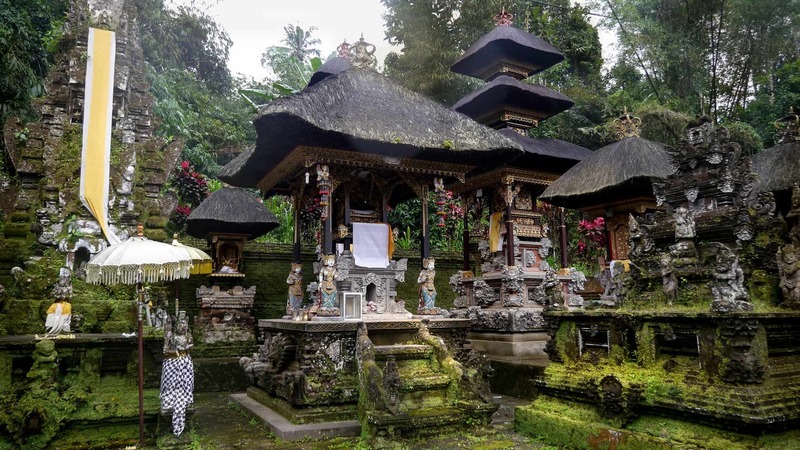 Yes, most Balinese temples are enclosed within a lush greenery, but this one is a bit more special. Perhaps it is because in some areas it seemed the nature was claiming back its territory and inseparably blended together with the shrines. 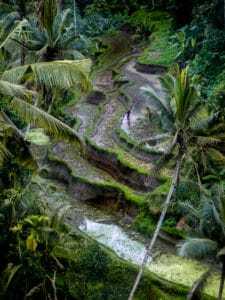 As we followed a narrow stone path down to the temple, we enjoyed the picturesque rice terraces down the hill. The view here can compete with Tegallalang 😉 ! Almost 300 stairs later we discovered what the temple was famous for. 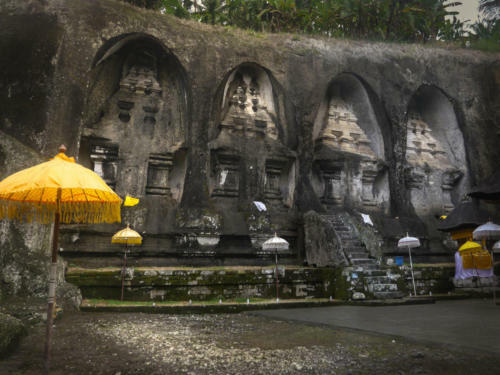 The ten tall unusual Hindu shrines are carved directly in stone and are split into three groups on either side of the river running through the temple. It was an impressive sight! Even the rain which had started at this point didn’t stop us exploring the various corners of the complex. The temple, being old and not much restored, somehow made the visit even more interesting. Even when we had to take off our shoes and walk through the mud in, what seemed to be, ruins of a shrine?, we felt like we were up for some super cool and unique experience. Excitedly we continued walking, wondering if we would make it out or back before the sun sets down as it was already half past five. It must have been good 10-15 minutes later when we hit a dead end. It was a bit disappointing, but somehow also good news at the same time. Because had we not reached the end, we would have surely continued for as long as we could, until it would have gotten way too dark and not particularly pleasant to return. 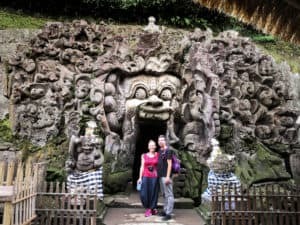 We stayed here for a while imagining how these shrines were built and how monks would find their way through the jungle to come to this even nowadays hidden away location to meditate or pray. 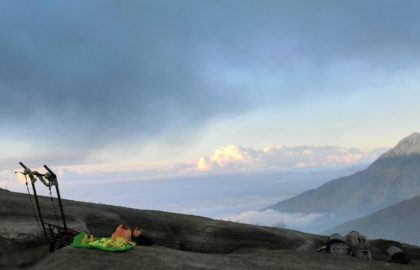 The feeling of being adventurous explorers was most probably boosted by the fact that there were almost no other visitors at the time we were there, which is very surprising. The only thing we missed was having more information available about the temple, its history and significance. As there were no guides offered, we had to rely on google and Wikipedia. 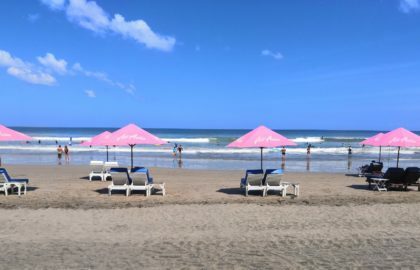 It seems plausible that as tourist arrivals to Bali increase this place will become a more prominent destination – being the largest temple in Bali, there is a lot to explore within an exciting surrounding. Doesn't it look like a hidden paradise? Have to share a dirty little secret with you. Writing this post days after our actual visit, we weren’t sure if this was the temple we had visited . 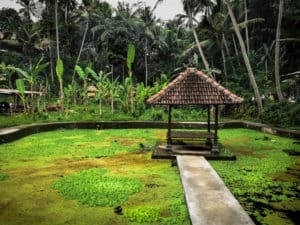 The confusing part was that every time we googled Pura Tirta Empul, pictures of numerous people bathing came up, whereas we were convinced we had not seen anybody bathing at any temple, let alone bath ourselves. For whatever reason neither google maps timeline recorded our location correctly, nor did the camera apps on our smartphones. Mysteriously we had gone under the radar that day. After a lengthy comparison of our own pictures with those on the internet, we finally concluded that yes, indeed, we have been there. For us, however, the highlights of the temple were different. We arrived at the temple on a rainy afternoon which probably explains why there were not many other visitors. Nobody even asked us to pay the 2k IDR parking fee, although it was indicated on the sign at the empty parking lot. Already from the top, where the entrance is, we could see the beautiful courtyard within flowers and juicily coloured forest. 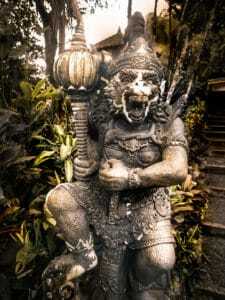 The temple is from the 10th century, its name and architecture holding a lot of references to Balinese myths. Unfortunately, here as well we had to rely on the internet to learn more as no guided tours were offered. In the end, instead of constantly staring at our phones, we decided to abandon the mission to understand what the various statues and pools signified, and simply walk around. 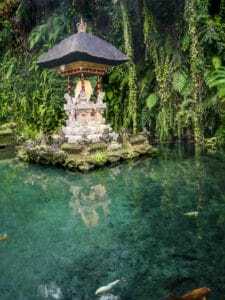 Although Pura Tirta Empul is an important spiritual and religious location in Bali, to us it felt more like a place where the local community gathered, like a park of some sorts. There were adorable little girls relentlessly practicing Balinese dance (and cheekily smiling at us ;)), a group of boys playing badminton, families taking a stroll with their kids to watch and feed the abundance of fish in the ponds. There was something very peaceful and beautiful about the temple. As previously mentioned, nobody was doing the purification ritual, entrance to the designated pools closed off from public. 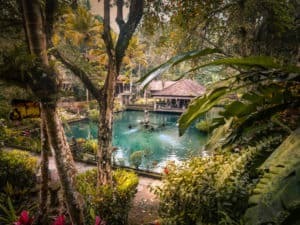 So, for us the memory of Pura Tirta Empul is different from the images you would see if you were to look this place up. Nevertheless, still worthy of a visit. 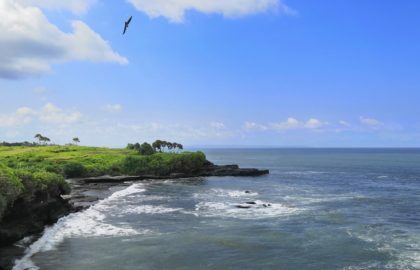 By the way, we have found hotels.com to be an excellent source of information for finding interesting places to visit. 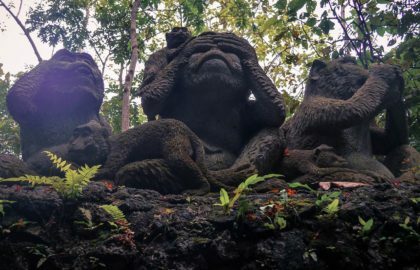 Here, for example, is a list of top 10 most beautiful temples to visit in Bali.